Habit: Polygonum densiflorum grows as a perennial herb to 30 cm in height. The stems to 1 cm in diameter and producing roots at the nodes that are in contact with the ground allowing the plant to grow over long distances. The leaves are arranged alternately, to 30 cm in length, lanceolate with an acute leaf apex and entire margin. There is a small sheathing ocrea extending from the petiole surrounding the stem above the internode that does not have fringing hairs distinguishing it from other species. The actinomorphic, perfect flowers are arranged in racemes. The perianth has 6 whitish pink, unfused, tepals that are not differentiated into sepals and petals. There are 5 stamens fused to the perianth forming a shallow hypanthium. The ovary is superior with a single locule. The fruit is an achene at maturity that is oval in outline. Habitat: Polygonum densiflorum grows in fresh water wetlands. 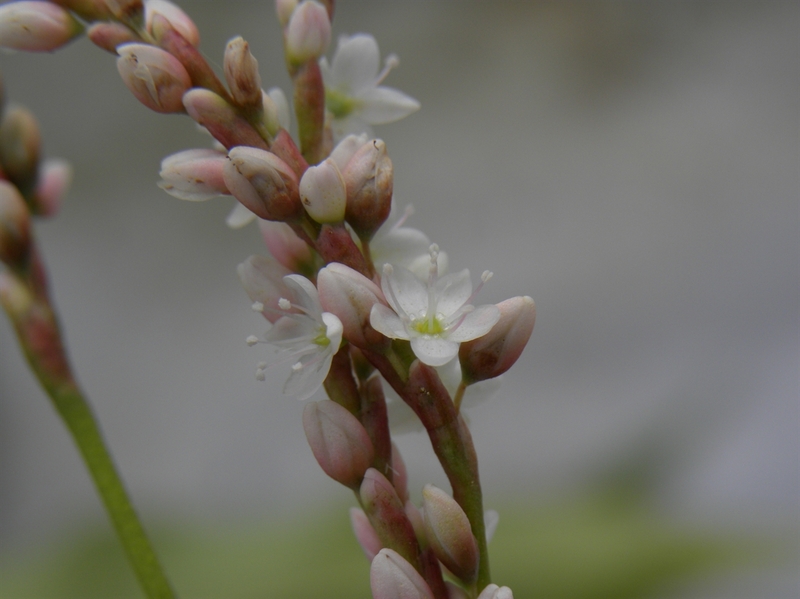 Distribution in Bahamas/Globally: Polygonum densiflorum occurs on all island groupings within the Bahamian Archipelago that have standing above ground fresh water as well as the southern United States, the entire Caribbean region and throughout Central and South America. Medicinal/Cultural/Economic usage: Polygonum densiflorum is not used medicinally in the Bahamas.